Make a few standout pieces for a dorm room you can call your own. Find ready-made unique trims, tassels and textured cloths to sew on your pillows for a boho vibe or girly feel. These will certainly amp up the glam in your room. For plain walls, create a focal point to bring it to life like this string art using nails and a board, opt to do words or designs like the one in this pin. Display your pics and other memorabilia on a metal grid frame. Its plain base is perfect for organizing busy prints and other inspo-related art you may have. Plus, you don’t need to do much but hang. Hang printed cloth you may have over your headboard or revamp a cheap rug with other accessories like fake flowers to give your room an instant wall makeover. Pepper your wall with your collection of washi tape and create a fun mural, you can also do geometric patterns like this or do oversized confetti. Create a curtain of light that also doubles as a great selfie background. Customize a table with letter signs, do your initials or spell out a positive word. Make it pop with ombre colors and lots of glitters. Keep a visual reminder on your wall or above your bed with a quote or affirmation on a canvas banner. 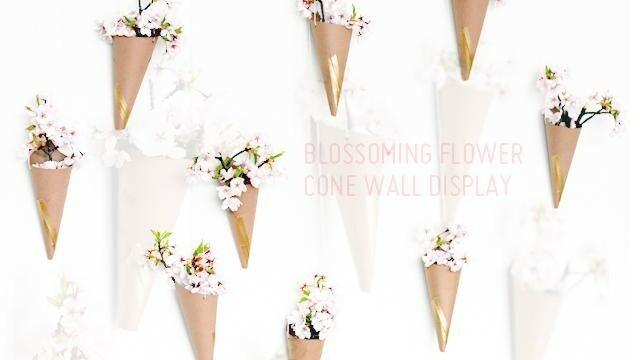 Leftover flowers from events or functions would make a great wall display, create cones out of brown paper or recycle magazine pages or gift wrapping. Opt for fake flowers to make the décor last. There are a lot of floral garlands out on Pinterest but this daisy one gives a cleaner more summer feel to your room, and you can totes make head wreaths out of this too! Recreate this easy tutorial with blue ombre colors to look like a waterfall on your wall or do pastel hues for a light summer vibe. Dedicate a wall for your reminders and transform ordinary corkboard material into the main design of your room, these examples are worth the try! Framed art is an instant way to bring color and ambiance to your room, check out these free art prints you can choose from. Cutoff the tops of cardboard letters so you can use the hollow space as a vase, simple and quick!